My Story card: Lucy King remembers her first rehearsal and performance at MMYT. In January 2017. 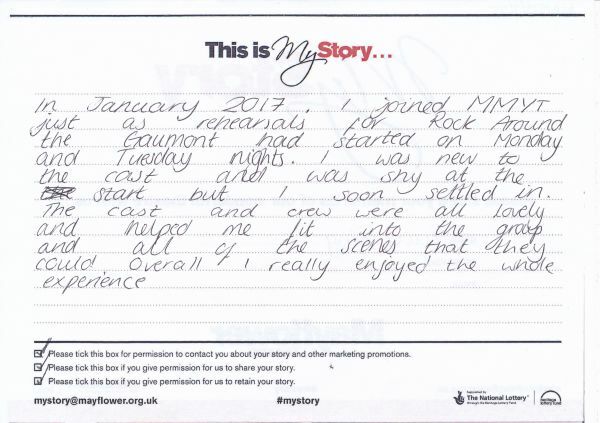 I joined MMYT just as rehearsals for Rock Around the Gaumont had started on Monday and Tuesday nights. I was new to the cast and was shy at the start but I soon settled in. The cast and crew were all lovely and helped me fit into the group and all of the scenes that they could. Overall I really enjoyed the whole experience.